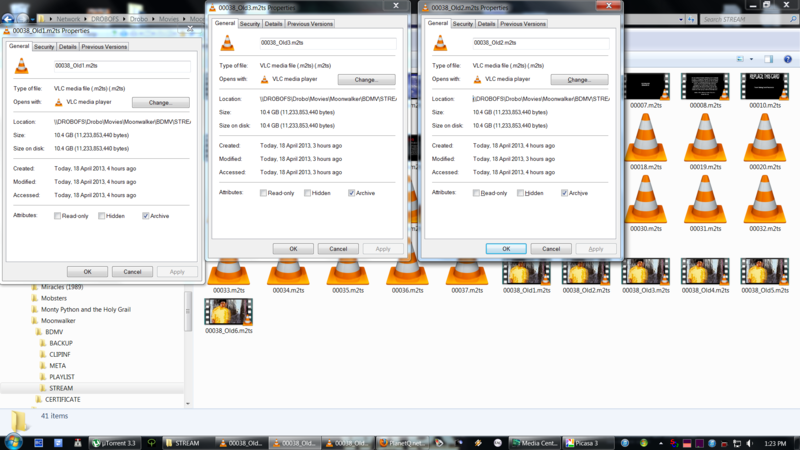 I don't know why these files can't be copied. 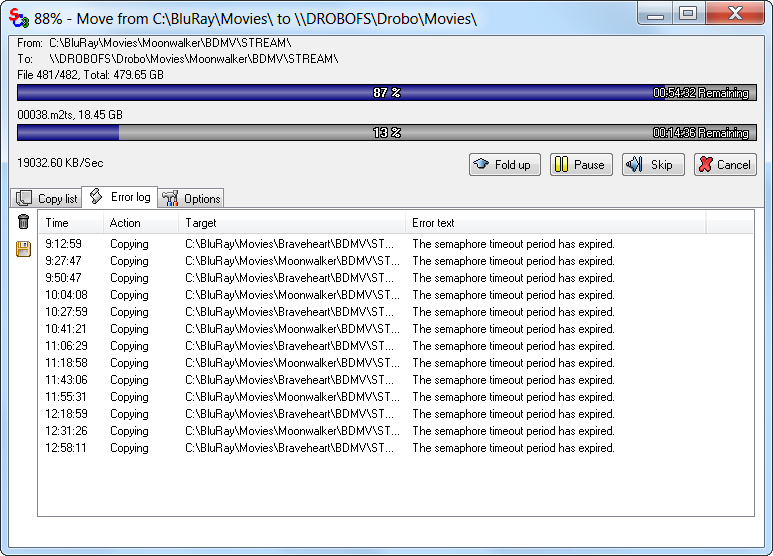 I can copy bigger files no problem. This file is 18GB but every time only 10GB is copied. The files it half copies are all EXACTLY the same size. I'm trying to move the files to a Drobo NAS. Already know, I have not found a solution.